It is Jan 17, 2012 and I am in Uganda. The last few days have been extremely busy as well as exciting. But before I tell you about Uganda, I want to start with two exciting pieces of praise. These two things ….. made my day. Yes, they both solved concerns I had prior to my departure. First of all, I planned to put my car in storage and leave it standing for the year. I used my car up until the last minute, about 3 pm. I was departing for the airport sometime around 4:30 pm. I took my insurance papers to an ICBC (insurance corp of BC)office across the street to obtain a storage policy on the car. I did this in July and all went smoothly but for some reason, that day, I had to hand in the personalized plates (AuntyM). I have had those plates for 16 years and did not want to part with them. Anyway, I had to take the plates of the car but since most of my tools were in storage, it appeared that I did not have the right tool to remove the bolts. I looked that the bolts and thought this was an hour of hard work which I did not have time for. A gentleman walked past my car and I asked him which tool would need to remove the bolts and take off the plates. I did not have the correct tool but he had the correct tool in the trunk of his car and within minutes the plates were off. He told me they were almost rusted on and it took much of strength to remove the bolts. I was rescued. I arrived at Vancouver International airport with three large bags… two duffel bags weighing about 50 pounds each. I had packed and repacked to ensure the bags were not overweight. Beside the two duffel bags I had a small suitcase, a purse and a small bag with my laptop in it. I would have normally found a cart and worked and worked to put all the bags on the cart but ….right in front of me at the curb was a porter. With this much luggage why not use his services. It cost me $10 and a tip and all my luggage was moved from the curb to the front of the line. Yes, I was not in first class but was taken to the first class counter and all my bags were put through without having been weighed. Not only was it put through…. but all the way to Entebbe, Uganda. I was absolutely sure that I was going to have to collect all the bags in London, England and then haul them back to the airport. BUT no, all the luggage was put through to Entebbe. I kept the computer bag and my purse. It was a good thing that I had my toiletries and a change of clothes in the computer bag and purse. What a relief it was!!!!!!!!!!!!!!!!!!!!!!!! Well, I am in Masaka, Uganda. I arrived with all my luggage and healthy. It was an amazing trip with lots of wonderful events like the truly great and interesting food at the hotel in London, England. We stayed at the Comfort Inn. Acceptable accommodation but more than acceptable food. It was interesting and very tasty. I would definitely return for another taste of their menu. We arrived late Jan 12, 2012 into Entebbe. Bye the time we went through customs and immigration, it was the wee hours of the morning. We stayed at a newly opened guesthouse, the Pearl. The lady in charge was very kind and gracious. Just prior to our arrival, she bought electric fans to ensure our rooms were cool and comfortable. I had an amazing sleep under a mosquito net. The next morning we headed for the supermarket. I was to buy supplies for Kibaale. What a shock to my system but Corina and Arlene were very helpful. There are many things which can be bought in Entebbe which cannot be bought either in Masaka nor in Kibaale. I bought red wine vinegar, olive oil, yogurt, whole wheat or brown flour, pasta sauces, packages of soup…. I spent over $125 US in less than 45 minutes. It was only yesterday, that I was finally able to go down to Kibaale and see the place and go into the clinic and meet the staff again. I knew when I left Canada that I was going to be traveling up from Kibaale to Masaka at least every few weeks to check on the 25 or so girls living in the dorms but little did I know that my time was going to be divided between the two place almost equally. 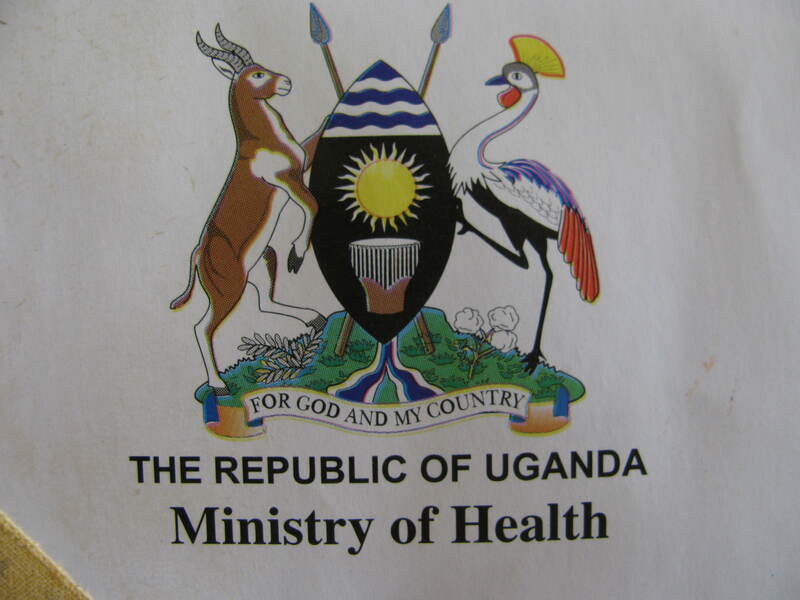 I will be spending Monday, Tuesday, Wednesday and Thursday morning in Kibaale helping with the clinic and then traveling the two hours or more Thursday afternoon into Masaka and spend Thursday evening, Friday, Saturday and Sunday morning in Masaka. I have been given a van to use. I will be driving myself back and forth. Uganda is like Britain in that you drive on the left side of the road. I have to learn to drive a stick shift with my left hand and drive on the left side of the road. I think that may be a interesting learning curve. I will keep you posted. For now, I have been down to see my new accommodation in Kibaale and all looks great. They put in a shower since July 2011 but it does not have hot water. The fridge appears to be working but we are not sure of the freezer part. It was cool but not cold. All my shopping is still waiting for me in Kibaale. For the time being I am living out of the kindness of my new friends in Masaka. God has a very funny sense of humour……… like so many things in this world, he rush to stand still. For now, I have been rushing to get to Masaka and Kibaale but for now I am standing still waiting to move forward.